It’s a curious move given the revamped brand has recently posted volume declines with writer James Atkinson revealing unprecedented negative feedback about the change. Previous brand extensions, Crown Pilsner and Crown Gold, both failed to find a market, though both were launched prior to SABMiller acquiring the company. Since taken the reins at CUB, SABMiller has brought an undoubted focus to the liquid it produces and, at least in my opinion, the Crown Lager product has benefitted greatly from its reinvention. However, the Crown Lager brand suffered greatly under the previous regime and has not recovered in the 12 months since it was reformulated as an all malt, kettle-hopped product. 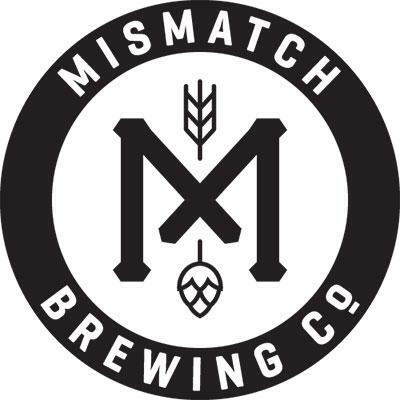 The release will likely serve as a distraction to the business in selling the lager, while further watering down the claimed tradition of the damaged brand further. It is surprising that SABMiller has elected to extend the brand before fixing it. CUB has moved from its former historical claims about the beer and its ‘Royal’ heritage. It should be noted that despite the passage of almost two years since Australian Brews News questioned the ‘official’ history of the brand, CUB is yet to reveal the results of its research into the brand’s history. The move is also interesting in that it is the first release of a ‘craft’ style under a mainstream brand. We are yet to receive samples of the new ale, but the description below would seem to put it squarely in the James Squire Golden Ale class. It’s a bold move to squarely position it as a premium beer rather than launch it as a craft-oriented beer. But CUB seems yet to come to grips with the craft market, despite the quality of the beers produced at Matilda Bay. Fat Yak, once Australia’s biggest selling craft beer, has been overtaken by a number of Lion brands and CUB’s craft arms seems to lack a clear direction or strategy. It also suffers for the lack of a brand manager. The Cascade brand revamp appears also to have failed to gain traction in the market, again despite the improved quality of the product. The launch of this golden ale under the Crown brand appears to be an attempt to leapfrog from its under-performing craft businesses into the mainstream. It remains to be seen whether the Crown brand provides a solid base for the move. With the exclusive launch into Dan Murphy’s, CUB appears to be continuing its only clear strategy around beer: regularly throwing a bone to the two big retailers. The launch of a new golden ale represents the next chapter in the history of beer and brewing in Australia according to Carlton & United Breweries (CUB). Staying true to CUB’s long history of leading beer trends and evolving alongside changing consumer tastes, the brewer has launched Crown Golden Ale. “As beer lovers, we know that the beer world is changing. We know that drinkers today are more sophisticated and exploratory than ever; they want to try different styles of beer, they want a more premium choice and Crown Golden Ale is a brew that will give them that,” CUB’s Richard Oppy said today. While Australians have traditionally focused on alcohol content and brands to differentiate the beers they drink, drinkers are now starting to explore across the different styles of beer; lagers, wheat, ales and stout. Today, lagers are easily the most recognised and available beer style, however beer drinkers are now starting to crave more variety and more detail about beer. CUB has made no secret about the focus on the quality of the amber liquid and its core portfolio. “The arrival of SAB Miller has put the focus back on the beer and supported a path of quality and innovation. This means we keep brewing great quality beers, which we hope people will want to try, talk about and drink,” Oppy said. Crown Golden Ale boasts a balanced flavour with zesty, citrus hop characteristics, while being subtly aromatic. This combines to deliver a refined and easy drinking ale that is suitable for any occasion. Ales tend to be brewed from malted barley and hops using a warm fermentation method to deliver a fruity aroma as well as a malty, full-bodied and sweeter taste. Staying true to CUB’s commitment of using Australia’s finest ingredients in Crown Lager, Crown Golden Ale is brewed using 100% malt and a combination of first choice Pride of Ringwood hops and Galaxy hops. “We think Crown Golden Ale has a subtle bitterness that appeals to a wide variety of palates. It’s a much easier drinking beer than the traditionally heavier English style ales; we’ve brewed it locally with our climate in mind,” says Tully Hadley, Crown Head Brewer. Crown Golden Ale has sleek, premium black packaging with gold highlights and will sit alongside Crown Lager in the Crown family. Crown Golden Ale will be available exclusively at Dan Murphy’s and BWS from July to September 2014. The brew will also be available in bars and pubs from August 1. 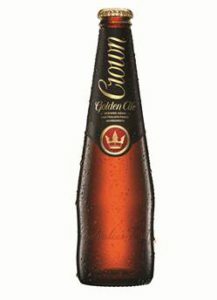 From October, drinkers will be able to purchase Crown Golden Ale at all good liquor retailers, bars and pubs. Good Analysis matt, its quite a surprising NEW product when previous others have failed. Agree that its in the same vain as the Squires range in terms of quality. My assumption as well it would be quite thin, without much body like the aforementioned squires range. Hi Matt Solid post. We all look forward to CUB addressing the history issue. In their defence I don’t think they know. Not an excuse however for not being transparent. Breweries were never good at records back when. Many, like the XXXX brewery in Qld lost what little records they had through brewery fires or floods. Specifically on Fat Yak. I understand that at one point it was a leading craft brand. However I also understand that once brewing of Fat Yak moved to the big CUB brewery at Yatala its flavour changed significantly. Pity. LION seems to have done a great job on replicating Little Creatures Pale Ale out of its new home in Geelong. It’s not easy but it can be done. Cheers & keep up the good commentary. In my humble opinion, Crown Lager and now Crown Golden Ale has not been the same since the switch to “screw top” caps.After being poured into a glass, does not seem to have the same robustness and goes flat very quickly. Crown golden ale is a winner – and who needs a glass! Bought Crown Golden Ale instead of Lager. Taste is superior to the Lager, more of a smooth taste. Will stick with the Golden Ale. Is it true that Crown Golden Ale has been discontinued.